New Delhi: AMRIT outlets will reduce the expenditure incurred by common patients on treatment of cancer and heart diseases, Union Health Minister J P Nadda said. Nadda inaugurated the Affordable Medicines and Reliable Implants for Treatment (AMRIT) outlet at Safdarjung Hospital. The AMRIT retail outlets will sell drugs at highly discounted rates and have a very comprehensive list of medicines that are available across range of products. 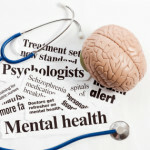 Nine AMRIT Pharmacies have been set up and Safdarjung Hospital is the tenth of this kind, Nadda said. “More than 195 drugs for treatment of cancer and 186 drugs for treatment of Cardiovascular Diseases are being sold through AMRIT with a discount of more than 90 per cent are available to patients,” he said. Nadda said that more than 1.77 lakhs patients have been benefited till date and it has resulted in saving of around Rs 13 crore out of pocket expenditure to the patients which translates into an average discount of 69 per cent on MRP. “We are planning to open 300 outlets in the country. 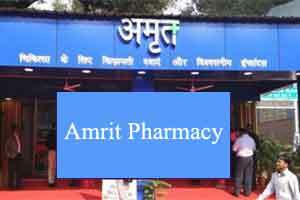 AMRIT pharmacy reflects our strong commitment to reduce the cost of treatment for the patients,” he said. The project has been floated in a tie-up with government-owned HLL Lifecare Ltd(HLL) which is mandated to establish and run the AMRIT chain of pharmacies across the country. HLL has said that the value of drugs dispensed (till May 30) from seven outlets is around Rs 7 crore while the MRP for the same was Rs 20 crore. “We are exploring the possibility of scaling up the facility and also making it accessible to larger number of people in various parts of the country. “The State Governments have been informed about the AMRIT Pharmacies and have been advised to consider opening such pharmacies,”he said.